Blue Seventy NERO TX Jammers. The Blue Seventy TX range utilises a fully bonded construction for the FINA approved Nero TX range! Men's performance swimwear from Blueseventy. These Nero competition jammers are of a professional standard and are FINA approved. This particular model comes in blue. 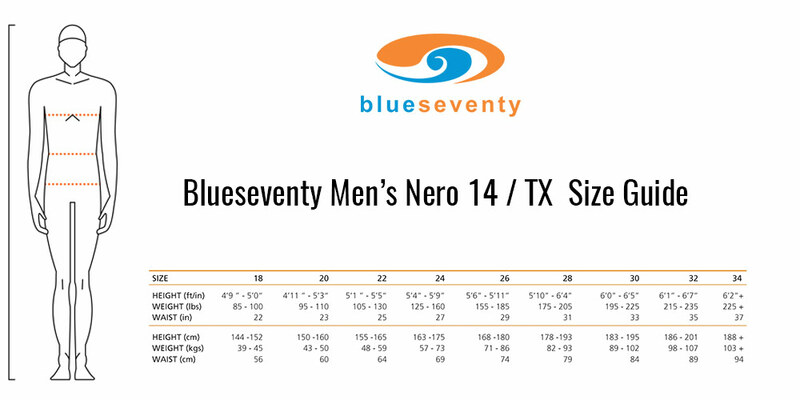 Men's performance swimwear from Blueseventy. These Nero competition jammers are of a professional standard and are FINA approved. This particular suit comes in blue. Blueseventy's NERO TX range of swimwear uses the latest in modern garment technology to provide an ultra fast racing suit. Blueseventy have used an advanced ultrasonic welding technique to ensure the low profile bonded seams are as strong as they can be. The construction and pattern of the jammer is extensively tested to find the optimum blend of compression, fit and performance. Consultation with industry experts on fit, patterns and the very latest in textile materials has resulted in a set of racing jammers that deliver maximum performance whilst remaining within the new FINA regulations. Swim faster with Blueseventy!